Jeffrey P. Marsico - The Kafafian Group, Inc.
Jeff has been with The Kafafian Group since its inception and is a founding shareholder. He oversees and works in all lines of business and areas of expertise, with a focus on strategy, profitability, and financial advisory. He began his banking career in 1985 and his experience includes: financial institution mergers and acquisitions, consulting and capital formation with Tucker Anthony Sutro Capital Markets (now RBC Capital Markets); retail branch management and merger integration with First Maryland Bancorp (now M&T Bank Corporation); IT and trust operations with Northeastern Bank of Pennsylvania (now PNC Financial Services Group, Inc.). 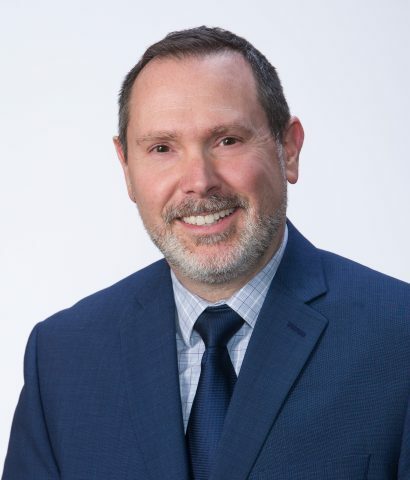 At The Kafafian Group, he has analyzed and facilitated over 100 strategy development engagements for community financial institutions, resulting in documented strategic plans to guide client employees and improve performance. He has negotiated, analyzed and advised boards of directors regarding whole bank, branch and fee-based lines of business acquisitions resulting in more than four-dozen successful transactions with over $2 billion in value. Jeff received his B.A. from the University of Hawaii and his M.B.A. from Lebanon Valley College. Professional education includes the AMIfs Institute, NASD Series 6 and 7, and the U.S. Navy systems administrator designation from the University of West Florida. He serves on the faculty of the ABA School of Bank Marketing and various state associations’ executive development programs. He is a frequent speaker and commentator at industry events, and is a recognized community financial institution blogger. Jeff interrupted his banking career and served seven years as a Military Intelligence Analyst in the United States Navy, earning three Navy Achievement Medals, the Kuwait Liberation Medal, the Southwest Asia Service Medal, the Combat Action Ribbon, Sea Service Ribbon, and other various commendations. He was a leader in starting the girls’ lacrosse program in his community, and is a certified U.S. lacrosse coach. Read what Jeff has written or where he's been mentioned. Hear podcasts where Jeff has offered his insight.